Hi! 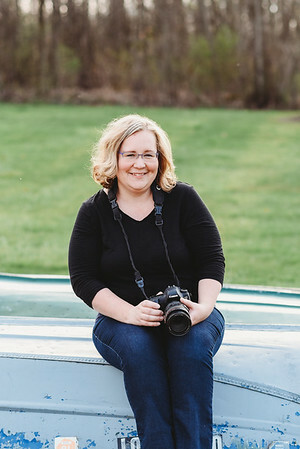 My name is Heather and I would love to be your photographer! Natural, fun and relaxed sessions are what I love to do. I will take the time to make sure your family is comfortable during our session. Need help deciding what to wear? I'm here! I have a bachelors degree in Finance but discovered my love for photography after my oldest son was born. From there I started a photography business and have been photographing families since 2012. I've taken college level photography courses and also have studied Design at the Art Institute of Pittsburg. I purchased my first DSLR camera in 2007 but it sat in the closet until 2011 when I decided I was ready to "learn" photography. I began by taking online photography courses, mentoring with local photographers and taking countless photos of my kids and my friends kids. From there my photography career has blossomed into a full time business. I would love to talk more about setting up a session!